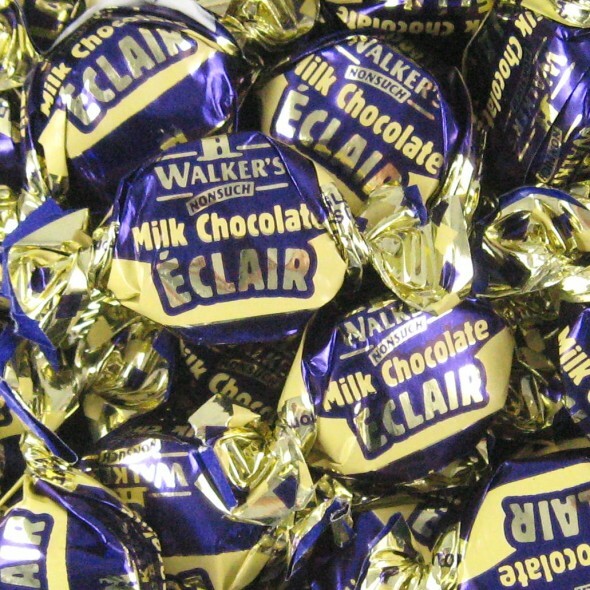 Rich Toffees with a milk chocolate centre. A popular creamy toffee sweet with a creamy milk chocolate centre. Individually wrapped, ideal to share. Ingredients: glucose syrup, sugar, sweetened condensed milk, milk chocolate 18% vegetable oil, butter, salt, emulsifier (E471), flavourings. Made in England.